The first song from Abhinay Deo’s directorial ‘Blackमेल’ reminds us of the chartbuster ‘I Hate You Like I Love You’ from Abhinay’s debut venture ‘Delhi Belly’. 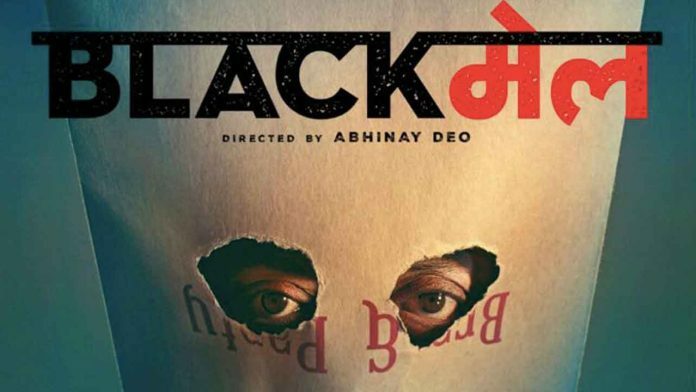 The recently released promotional song from ‘Blackमेल’ has received a thumbs up from the audience owing to the foot tapping tunes and quirky representation. While the song is creating waves online, it makes us reminiscent of the chartbuster ‘I Hate You Like I Love You’ for the quirky representation of both the songs helmed by Abhinay Deo. Both the songs spread smiles on the audience’s faces with its quirky, unusual lyrics based on the ironic situations in the film. In ‘Blackमेल’s ‘Happy Happy’, while the song talked about being happy, the cast especially Irrfan was anything but happy. Previous articleKatrina Kaif And Ranveer Singh Give A Thumbs Up To Vipul Shah’s Namaste England! Next articleChitrangda Singh Goes The Madhuri Dixit Way?